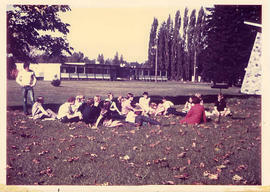 Photograph of a class in session on the lawn behind the chapel in the fall. ; Arts and Science Building in the background. 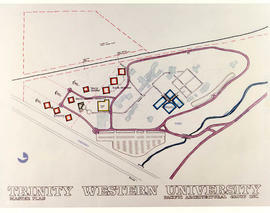 Photograph of a drawing of a campus map showing future residences, a gymnasium, a multiplex, and Northwest Baptist Theological College Property.